Accidentally demoted your administrator account to a standard user and can’t get admin rights on your computer? Forgot the administrator password after setting up Parental Controls for your child’s account? With a standard user you are unable to install any programs. When you try the “net user” command to reset admin password, you’ll get the “access denied” error. In this article I would like to walk you through using a tool to gain admin access to your Windows system from standard user account. This method works on nearly all versions of Windows, including Windows 8.1. How to Gain Admin Access to Windows from Standard User Account? Step 1: First, you need to use another computer to download the zipped ISO image of PCUnlocker. Extract the downloaded file locally and then burn the resulting .iso file to a CD-ROM (or USB flash drive) using ISO2Disc program. Step 2: Insert the CD into the computer that you’re trying to gain admin access to and boot from it. You may have to change the computer’s boot order in the BIOS in order to boot from the CD. Step 3: If you boot from the CD successfully, the computer will load the contents of the CD drive, and eventually start the PCUnlocker program. This program automatically detects your Windows installation and displays all Windows user accounts which are stored in the SAM registry hive. Step 5: Click Yes to continue. 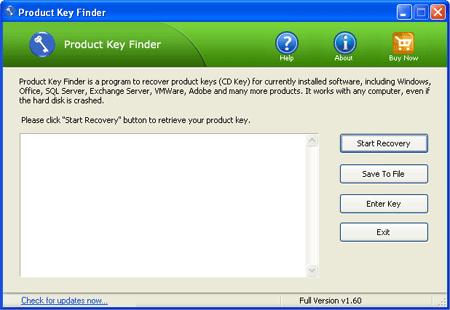 The program will remove your current password and promote your standard user account to administrator immediately. Step 6: Now everything finish properly and you have to remove the CD and restart your machine. After logging into your standard user account, you’ll find that your user account has already been joined into the administrators group. Now you’ve successfully gained admin access to your system and you can perform any administrative tasks on your computer. All of us have sensitive files that need to be hidden from prying eyes. This can be anything from our documents to pictures of family or friends. If you’re looking for a simple way to help you hide data from prying eyes and don’t want to have to deal with encryption, Protect My Folders might be the ideal choice. It works with Windows 8, 7, Vista and XP. How to Safeguard Your Data with Protect My Folders? 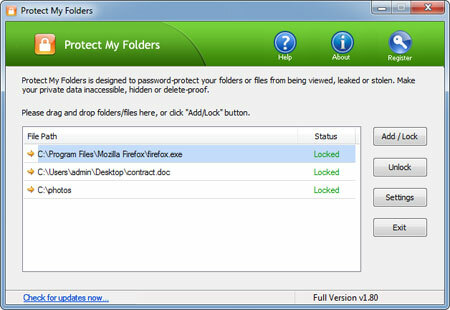 Download the installer of Protect My Folders. After that, double-click the downloaded file and allow the setup wizard to complete the installation. Upon first run, you will be asked to create a password for the application. This step is crucial because it will protect the application from allowing others to unhide your hidden folders. After you create the password, the main window will open for the application. From here, you do all the work. Click the “Add/Lock” button, navigate to the folder you wish to hide and click OK.
Now that the folder is hidden, so it will not appear in Windows Explorer. You cannot even type the path of the folder and have it appear, even from Command Prompt. To access a folder that you have hidden, all you need to do is run Protect My Folder program again and enter your password. Choose the folder you wish to access and click on Unlock button. 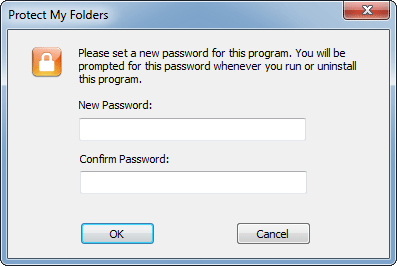 With the folder password protected, the folder cannot be unhidden without entering the password. This adds a second layer of protection for the folder in case the Protect My Folders program is deleted. I’ve been using Windows 8 since it came out. I shut my computer down last night and I’ve gone to log in this morning and I get this message: “Your PC is offline. Please sign in with the last password used on this PC.” I’ve tried all of possible passwords and can’t log in to my Microsoft account. This is a very rare error message you may get when you use Windows 8 with Microsoft account. When you first add a Microsoft account to Windows 8, Internet connection is required and your Microsoft account password will be cached locally. Afterwards you should be able to use it to log in to Windows 8, even when Internet connection is not available. But there are many reasons that can cause the logon error of “Your PC is offline”. Here are the steps you can use to fix the “Your PC is offline” issue in Windows 8. How to Fix “Your PC is offline” Issue in Windows 8? First of all, if your Microsoft account password includes an upper case character, try to enter the same password all in small case and you should be able to log in. This should be a Microsoft bug where sometimes the last saved password is recorded in the system all in small case irrelevant the original password. “Your PC is offline” means that your machine is currently not connected to any network. Make sure the network on your tablet or computer is not disabled or not disconnected. Check if the WiFi is on, or physically plugin a network wire to ensure that the machine you are dealing with is connected. But sometimes the chances are your account has probably disabled due to some unusual activities. If you are using Microsoft Account as your user account, go to Reset Your Microsoft Account Password web page, and follow the steps there to reset your account’s password and to re-enable the account. Once done, you should be able to get into your Windows 8 machine again. If you already forgot your Microsoft account password, don’t worry! 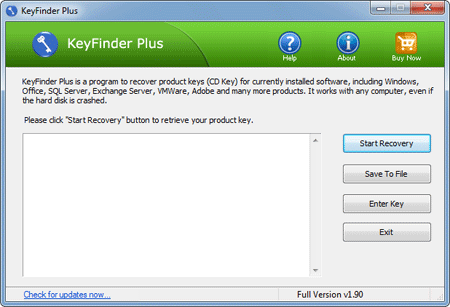 It’s very easy to reset the last saved password that is stored on your PC and regain access to your computer without data loss. 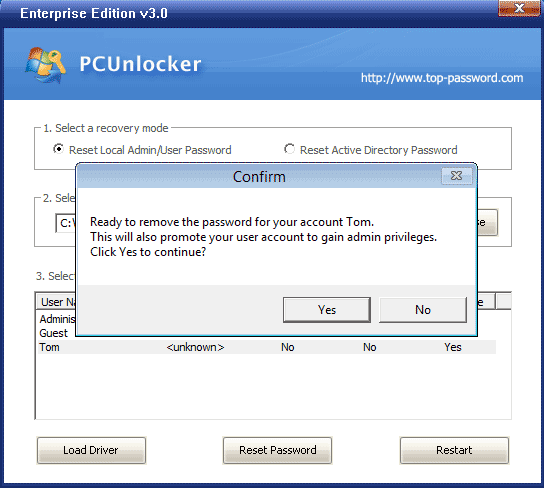 PCUnlocker is a powerful yet easy-to-use password recovery utility that enables you to reset the last saved password of your Microsoft account. Just boot your computer from PCUnlocker Live CD or USB drive, select the local account which is linked to your Microsoft account, and click on the “Reset Password” button. Reboot your computer and you can then log back in to your Windows 8 Microsoft account with the new password: Password123. Forgot your Microsoft account and get locked out of your Windows 8 system? How can you bypass the Microsoft account login? If you are logging in to Windows 8 using a Microsoft account you should always have an additional local account to use in case your Microsoft login doesn’t work for whatever reason. But in most situations we might find that the Microsoft account is the only user account on our computers when we forgot its password. Luckily, there is a quick way to bypass the Microsoft account password in Windows 8. How to Bypass the Microsoft Account Password in Windows 8? 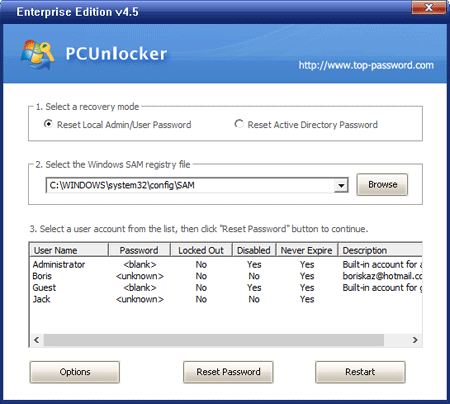 Download PCUnlocker using an alternate PC which you have full access to. Once it’s finished, double-click the zip file to extract it. You will then need to burn the ISO file to a writable CD using a program like ISO2Disc or ImgBurn. Insert the CD into the computer that you need to bypass the Microsoft account password on and boot from it. You may have to change the computer’s boot order in the BIOS in order to boot from the CD. If you boot from the CD successfully, the computer will load the Windows PE operating system from the CD. When the boot process is complete, you’ll see the PCUnlocker program. It shows you a list of local user accounts which are detected from the Windows SAM registry file. Choose the local account which is linked to your Microsoft account, and then click on “Reset Password” button. The program will change your Microsoft account login to Password123 by default. Restart your computer and take out the CD from the CD drive. If the password reset was successful then you should be able to log into your Windows 8 Microsoft account with new password. Note that PCUnlocker also works for Windows 8.1. It should be a unique tool for Windows 8 users to bypass the Microsoft account login easily. Save you the trouble of forgetting Windows password in an easy way!